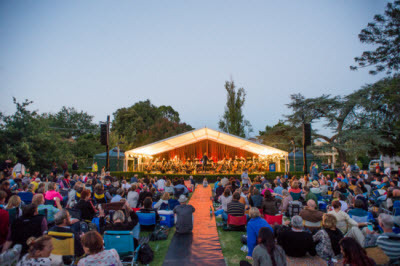 Stonnington Council presents Symphony Under the Stars for 2015 in the Malvern Gardens this Saturday night 28th February. Celebrated Melbourne indie rockers The Black Eyed Susans - fronted by Rob Snarksy - will join conductor Simon Thew and the Stonnington Symphony Orchestra for a twilight gig with a difference. The forecast is a for a balmy evening so bring the kids, a rug and some low back chairs to enjoy the majesty of a live orchestra.